Buying, Building or Remodeling a Home? You won't find longhorn cattle or oil wells at this Texas Hill Country ranch. Faith Ranch, near the small but burgeoning town of Wimberley, is the new face of Texas, a 150-acre residential community -- with 84 acres preserved for wildlife -- that mandates resource conservation and five-star energy efficiency for every home being built here. Faith Ranch's newly completed first home, built with the capacity to live completely off the grid, has earned the highest score to date - 240 points -- from Austin Energy's Green Building Program, the most successful utility-sponsored green building program in the nation. Of more than 6,000 homes that have been energy-rated by the city's green building program, this Faith Ranch home is one of only 35 homes to earn a five-star rating and one of only 12 homes to achieve more than 200 points. "Faith Ranch has set a new precedent for planned residential communities in the Austin area by integrating green design as the cornerstone of its master plan for every home to be built there," said Rich MacMath, of Austin Energy's Green Building Program. While the old school of green design dictates a minimalist approach to square footage, this spacious eco-chic home, complete with state-of-the-art solar energy and geothermal HVAC systems, offers sophisticated interiors with grand spaces, including a natural-light-filled arcade with a 22' high ceiling and transom windows to facilitate climate control and fresh air circulation. And while conventional rainwater collection tanks are often landscape eyesores, this 22,000-gallon rainwater collection cistern is encased in handcrafted dry-stacked stone, enjoying the same artisan-tooled fa�ade as the home's exterior walls. 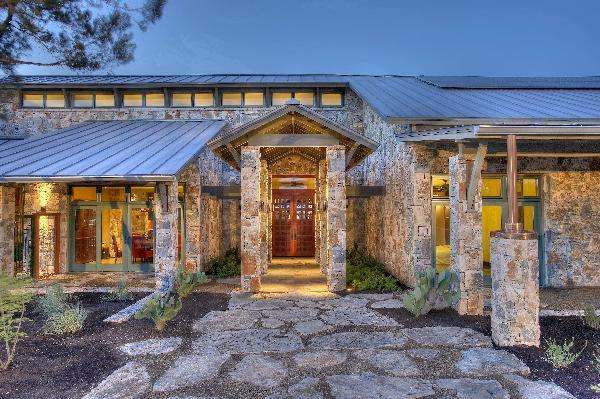 Situated atop 10 gorgeous hill country acres with breathtaking views that could be lifted from the pages of Larry McMurtry's literary classic "Lonesome Dove," this Faith Ranch home is being offered at $2.25 million. 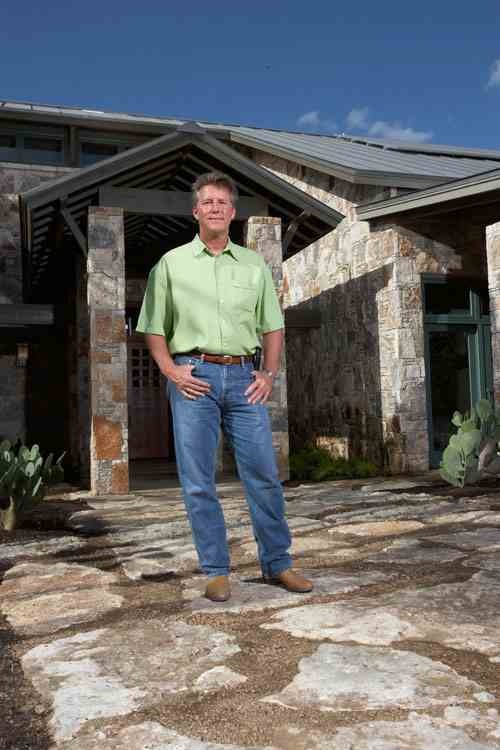 Bill Dunn, one of Central Texas' most sought-after custom homebuilders, along with architects Jim Herd and Geoffrey Brune of Houston's esteemed Collaborative Projects Architecture, comprise Faith Ranch Development Company. Developer Bill Dunn�s desire to create a green design community was fostered in the early 80s while living in the Australian Outback, where he saw firsthand the benefits of sustainable living practices. Houses built to support proper air flow and ventilation, electrical power produced by generators rather than power companies and complete rainwater harvesting and storage systems offered a self- sufficiency that few Americans realize today. 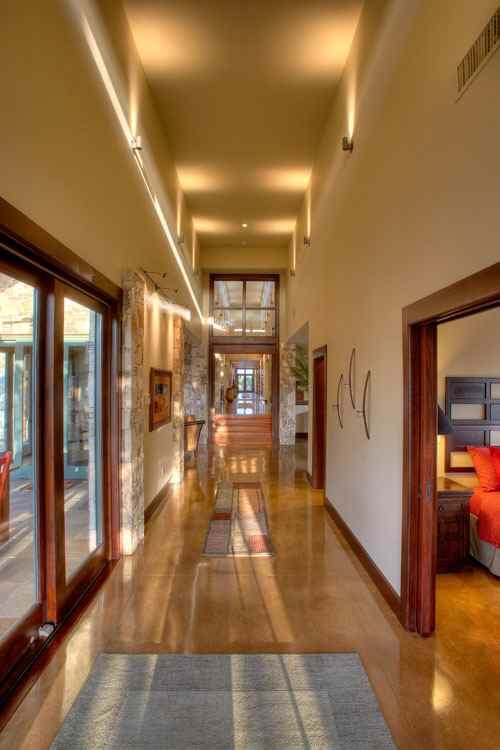 Bill Dunn, one of Central Texas� most sought-after custom homebuilders, along with architects Jim Herd and Geoffrey Brune of Houston�s esteemed Collaborative Projects Architecture, comprise Faith Ranch Development Company. Keep these tips in mind for better health, energy efficiency and less maintenance. � Shade trees, awnings, solar screens and southern low-e windows keep your house cooler and lower your energy bills. � Windows with southern exposure provide lots of light without much heat gain. Avoid windows that face west. � Light exterior colors reflect the sun�s rays and help keep your home cooler. � Avoid standard recessed can lights. They produce a lot of heat and usually leak into the attic, making the air conditioner work hard to cool your home. � Install a cooling system with an efficiency rating of at least 14 SEER and be sure the ductwork is totally sealed with latex mastic or approved �UL-181� tape (not duct tape). � Use hard-surface floors as much as possible. Carpet attracts and harbors dirt, dust, mold, mildew and other possible allergens. Courtesy of Austin Energy�s Green Building Program. www.austinenergy.com.